One Owner with a clean Carproof Report, No Accidents. Special financing From 0.9% o.a.c. Balance of Factory Warranty. We Take Trades !! We Want Your Tradews !! 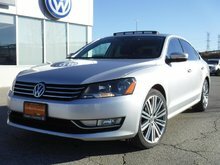 Passat Highline. Key Features: Bluetooth, Navigation, Leather, Back-up Camera and loads more. Go With Confidence. Fully VW Certified and Reconditioned to Volkswagen Assurance Standards and all services up to date. Call for details on the Work performed on this beautiful Car! 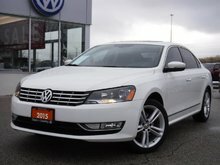 We found Passat ride quality comfortable without being soft. Handling is what most drivers expect from a mainstream, midsize sedan: predictable and forgiving, properly suited for the ins and outs of the daily commute. The new 1.8-liter turbocharged four-cylinder is replacing the 2.5-liter five-cylinder and that's a good thing. The turbocharged four-cylinder earns thriftier EPA estimates: 24/35 mpg City/ Highway with manual shift, and 24/34 mpg with automatic. Buy with confidence, all Town + Country Volkswagens have been fully reconditioned using only quality Volkswagen Original Parts. Every Certified Pre-owned Volkswagen undergoes a 112-point inspection and is thoroughly examined before it can be part of the Volkswagen Assurance program. Nothing escapes our technicians’ scrutiny – they’re determined to give you the Volkswagen certified vehicle you deserve. Our multi-point inspection ensures that this vehicle is in outstanding condition visually and mechanically. Tires and brakes are inspected and serviced to be good for many thousands of kms to come. All servicing is up to date. In addition to the balance of factory warranty (4yr/80,000km) Comprehensive Warranty and 5yr/100,000km Powertrain Warranty. Call today to book your demo drive! You can also find a complete list of our pre owned inventory at www.tcvw.ca We have proudly been serving the communities of Markham, Richmond Hill, Aurora, Newmarket, Vaughan, Thornhill, Toronto and Durham regions for over 30 years. We are winners of multiple Volkswagen Wolfsburg Crest Club Awards! Town+Country Volkswagen ASSURANCE Certified Pre-Owned Program *Low interest rate loans from 0.9% to 4.9% *112-Point Inspection *6 months of 24/7 roadside assistance *3 months of SiriusXM *Satellite Radio *Eligible for VW Plus *Carproof history report included *Available extended VW Premium Assurance Warranty for 2 year or 40,000 km . 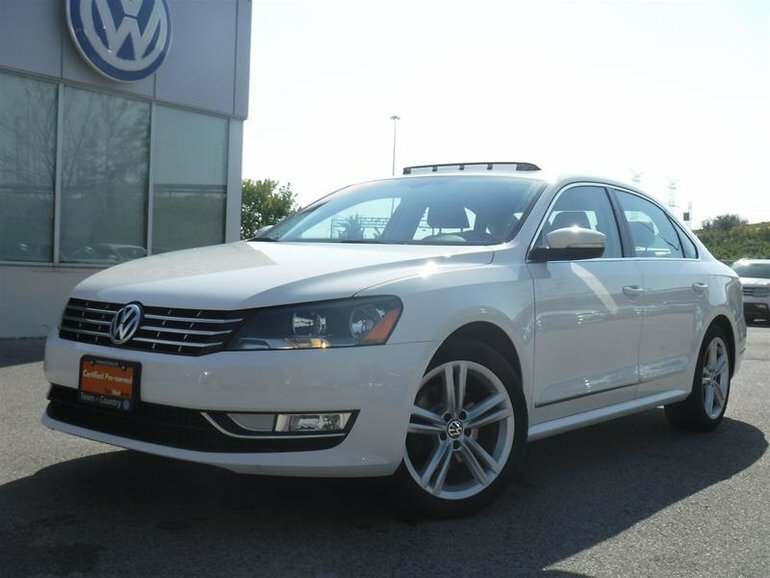 Interested by the 2015 Volkswagen Passat Highline 1.8T 6sp at w/ Tip ?